In today’s blog, we will be expanding on that last bullet point. Many have seen the benefits of this already, but it is important to discuss how outsourcing specific services can actually help create new revenue streams for banks and credit unions. Many internal processes can easily be streamlined by turning to a third party for certain services, such as real estate tax monitoring. Below we will go over a few specific benefits that financial institutions may see internally when outsourcing. One of the main ways outsourcing can help a bank or credit union internally is by cutting down on expenses. No matter the size of the financial institution, it’s safe to say that lenders have a lot on their plate. It can be quite challenging to keep up with mortgage payments, loan applications, flood determination, insurance monitoring, and so much more. When these responsibilities are taken over by a third party, it will free up time - and money - internally. Within this new model, lenders and other staff members who were previously in charge of all these duties can now be used for other core business functions. Similar to the above point, outsourcing also means that the financial institution will no longer have to invest in training staff members to keep up with certain tasks. In order to ensure you are in compliance with federal regulations, it is important to make sure you have all your ducks in a row, so to speak. 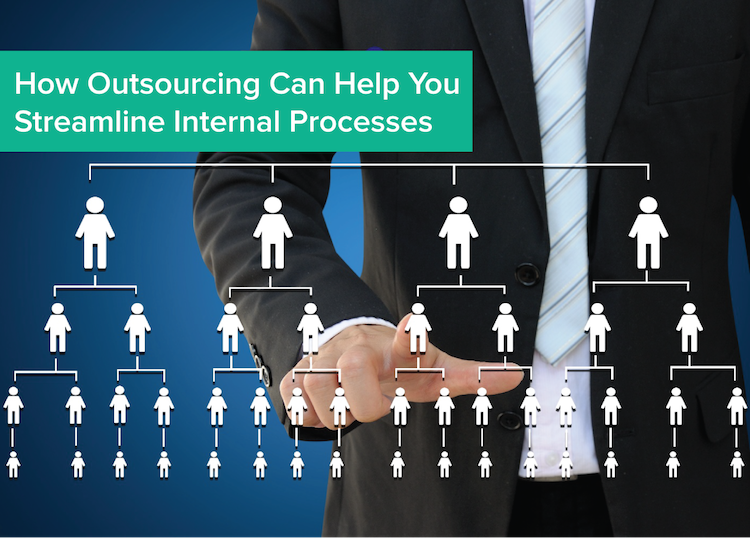 By outsourcing certain services to a third party that has the resources, knowledge and experience to perform these duties as seamlessly as possible, you are setting yourself up for success. As we discussed in last week’s blog, technology plays an instrumental role in how banks and credit unions operate in today’s society. Because of this, we are seeing more and more financial institutions adopt new technology solutions or even outsource certain responsibilities altogether. When this is done, a financial institution is able to reallocate staff members and resources, while cutting down internal expenses at the same time. From a lender’s perspective, outsourcing is a welcomed option. Not only will it help lenders perform their job better, but it will also allow them to implement the strategies we’ve gone over in order to increase revenue. If you are interested in learning more about how outsourcing can help streamline certain internal processes, please download our recent ebook, New Revenue Streams for Financial Institutions. And if you have anything to add on this subject, please feel free to use the comment section below.